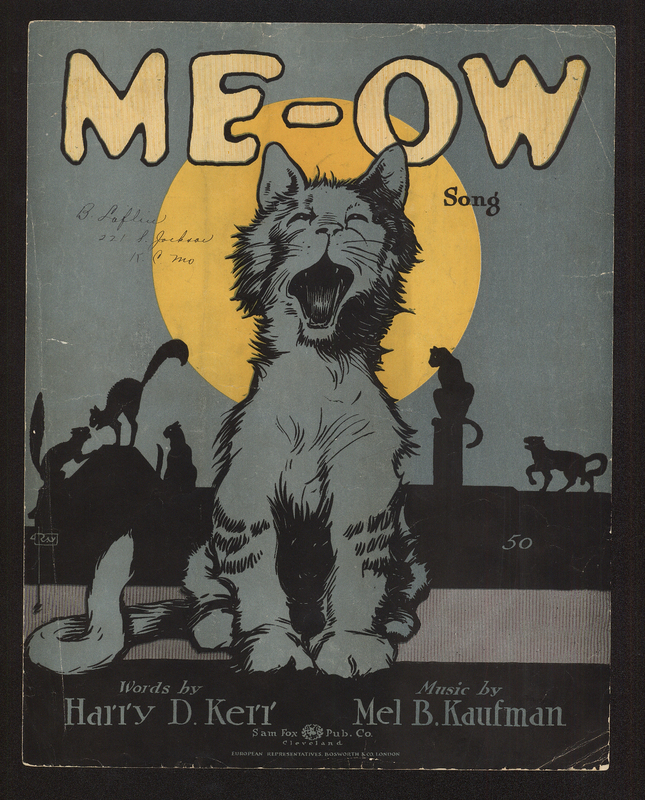 Pam’s Pictorama Post: Welcome to my second installment of cat related sheet music. 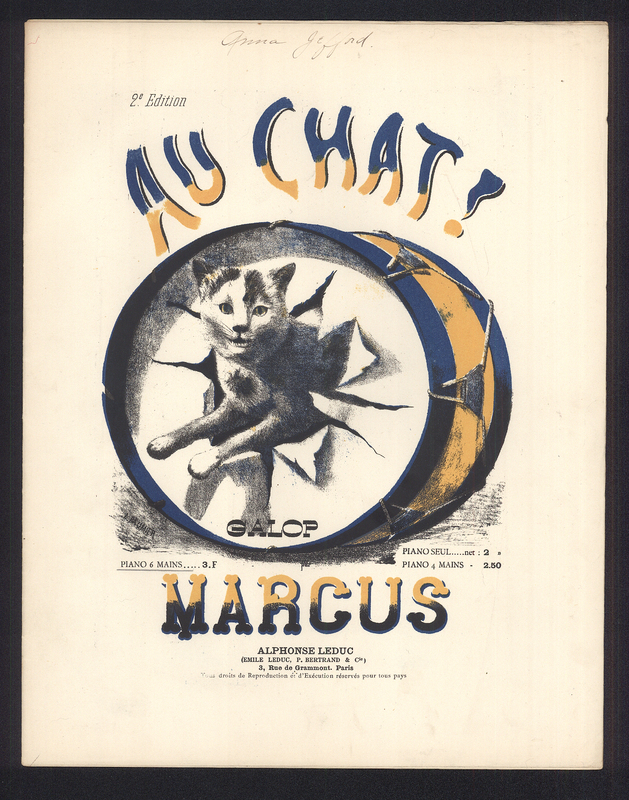 As some of you know, early on I shared some of my sheet music collection in Meow Kitty Sing-a-Long, but I uncovered some great pieces when searching for the art to our wedding invitation recently. 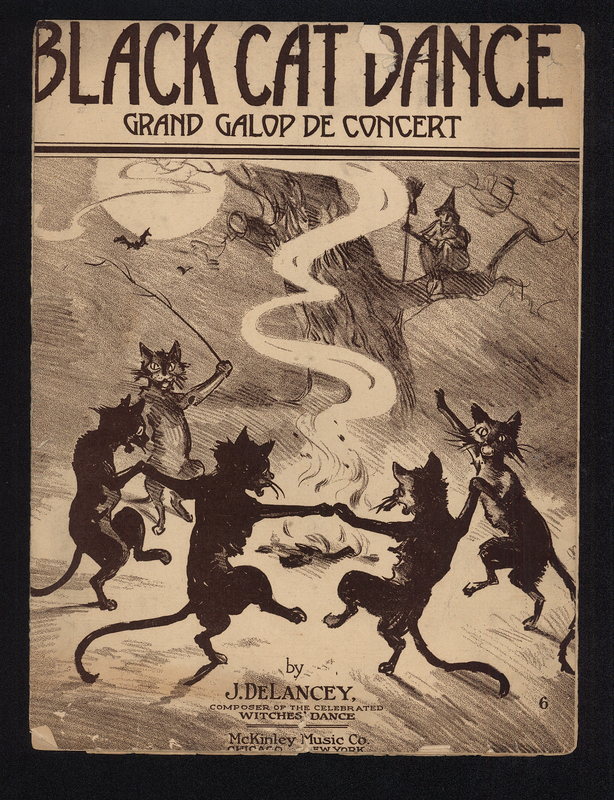 The Black Cat Dance is just a great image and sort of fun. I am afraid that the names of that and Au Chat! are not distinctive enough to find them on the internet – or much information about them. I am fortunate to own two copies of the Me-ow music, one is on the wall. The second, the one pictured here, may have been a gift – or I found it some place and it was too inexpensive to resist. Always good to have a spare. It is the only one I was able to find a link to on Youtube and I have included it below. I had hoped I would find a way to play the Felix the Cat fox trot by Sam Fox; sadly to date I cannot. However, I did find an interesting 1928 snippet from the Music Trade Review on the International Arcade Museum website. This brief article says that Fred Waring introduced the song in Paris and that he cabled Sam Fox that he believed it would be a hit for him. It also refers to the speed with which Europe gets American dance numbers today, scarcely a month after their initial release. Felix was excellent at selling sheet music and therefore some wonderful images have proliferated on especially British sheet music. I have at least one more example I plan to share in a future cat music post. Hope this put some spring in your step! Wonderful art on the music sheets, just delightful!